A large amount of oil has spilled from a tanker that sank off the coast of La Gi town in southern Binh Thuan province last Sunday. Oil has flowed towards the sea of Ba Ria-Vung Tau province due to strong wind. 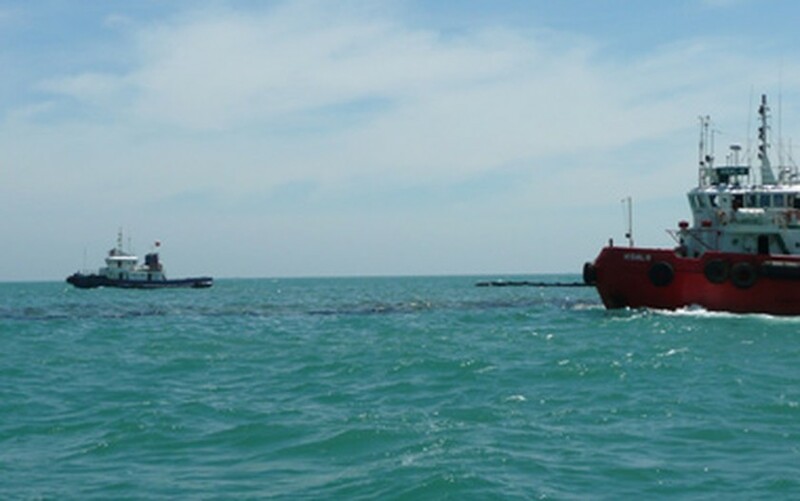 Southern search and rescue forces were assigned to the site to control the oil spill and said they will attempt to bring the boat to the Ba Ria Vung Tau neighboring sea. The boat was turned upside down; some said it may sink to the bottom of the sea. Rescuers could not approach the boat to search for 14 missing sailors due to rough sea, but they said those sailors are likely to be stuck in the boat.